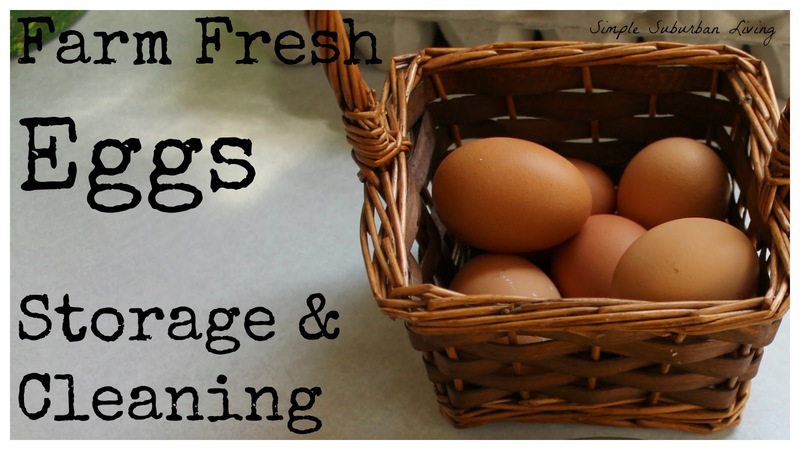 Do you have to wash your fresh eggs? Do they need to be refrigerated? These are some of the questions I get most often concerning the handling of eggs from our suburban coop. The fact is that the nature God-given coating that is on an egg provides an amazing amount of protection and the less we do to mess that up the better we are! There is a big difference between the eggs you pull right out from under one of your backyard chickens and one that you purchase at the store, a BIG difference. The chickens that you raise, feed, and take care of are no doubt (well if you take good care of them) healthier than those found crammed in some giant factory farm cage somewhere. The eggs from the factory farms are immediately washed and then packed and refrigerated to prevent bacteria from growing in those eggs. This process takes the natural protection away from the eggs and exposes all of the tiny pores of the shell to outside contaminants which makes refrigeration a must. However, with your farm fresh eggs this does not need to be the case. When you collect your own eggs they can be cleaned and put into the fridge and stored for several weeks this way with no problem but it is largely not necessary. The coating provided by the chicken is the best defense from bacterial growth in the first place. Washing that coating off is the equivalent to pulling of the eggs protective respirator in a disease infested world. It won't survive long without the protection given naturally by good old' mama hen. We generally collect our eggs mid-morning and then bring them in and place them in a dish or cartoon near the sink. We do not wash them right away or refrigerate them. They just sit right there until needed by one of the SSLMom's awesome recipes or for one of our famous breakfast egg sandwiches. Once we are ready to use an egg we simply rinse it off with warm water (don't want to accidentally drop poopy eggs shells in breakfast do you?) and throw it in the skillet or mixer. We have left the eggs at room temperature like this for over two weeks at times (although I would probably not let them sit much longer than that). The bottom line here is that the natural way the chicken eggs was made by our creator allows for us to store them without worry of bacterial infection at room temperature without the invention of the refrigerator. How do you think people use to store them for the thousands of years before the refrigerator? There are also other ways for long term storage at room temperature that I will not get into here today but may talk more about on a later discussion.